Highly flexible and versatile "" and packed with performance enhancing features, the Datacard SD160 card printer is the affordable way to print cards for many types of applications including Corporate IDs, Health care IDs, Student, visitor or staff IDs, Retail, hospitality and loyalty cards, Local government IDs, and Visitor IDs. 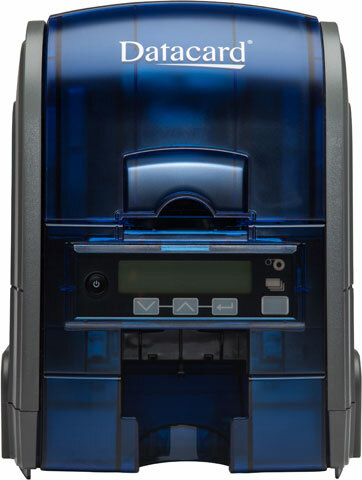 Featuring rewritable printing, inline magnetic stripe encoding, a unique ultraviolet (UV) printing security feature and intuitive operation, the versatile SD160 card printer empowers you to meet a wide range of ID issuance applications requirements - while protecting your bottom line. The SD160 is an affordable, long-term value with proven reliability, ultimate versatility and flexibility, and economical security. Complete ID Card Printing Bundle. 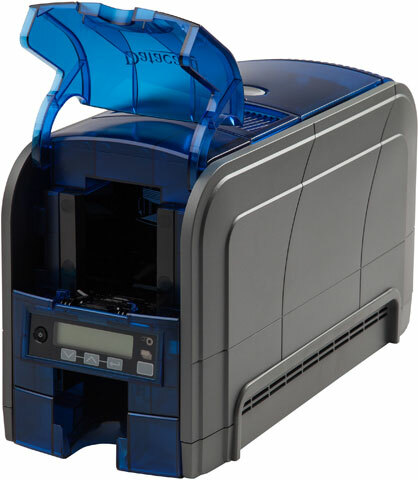 Includes SD160 printer (Part# 510685-001), YMCKFT ribbon (300 prints), and TrueCredential Plus software. Single-sided, 300 dpi, 100 Card Input Hopper, JIS Magnetic Stripe Encoder, USB Interface. 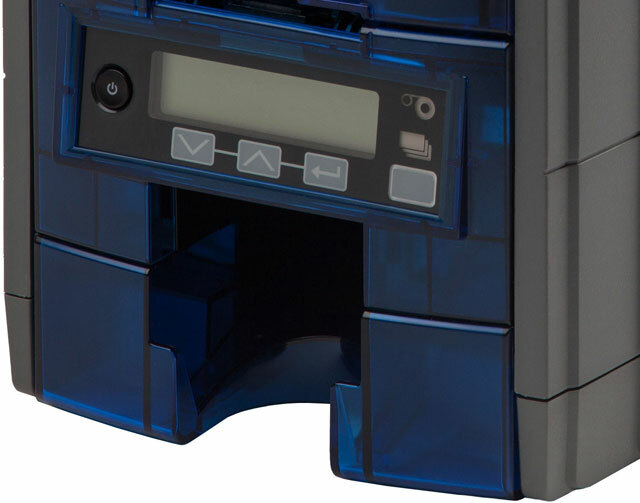 SD160 includes a UV ink options that prints an invisible layer of covert security.Printer comes with with ID Works Intro/TruCredential Express software. Cards, Rewritable Cards, Blue Print, ISO ID-1 (CR80/.030), Rewritable front and 1/2 inch Hi Co magnetic stripe PVC back (100/pack). Compatible with SD160 and SD260 ID Card Printer. , CR80/030, PVC Graphics, White, Tray, Pack of 500. 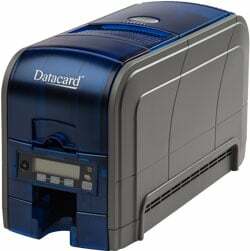 12 Month Post Warranty Depot Contract for SD160 ID Card Printer, provides Toll-free, 24/7 access to customer support, Technical phone support for hardware, 5-day (Excluding weekends and holidays) turnaround time from receipt of failed printer, with ground return shipment method. Post warranty service contracts must be ordered 30 days before the end of the warranty period. 12 Month Rapid Replacement Warranty Upgrade for SD160 ID Card Printer, provides Toll-free, 24/7 access to customer support, Technical phone support for hardware, Next day (Excluding weekends and holidays) turnaround time from receipt of failed printer, and Air return shipment method. Post warranty service contracts must be ordered 30 days before the end of the warranty period.